This morning (28 June) Mickey and I again visited the Yuma East Wetlands before work. The sun was already up when we arrived at 0545, the temperature was over 80 degrees, and the humidity was 40%. My hat goes off to the researchers who are out there on the river doing breeding bird surveys and other bird counts in this weather! New species for the June list of East Wetlands birds were INCA DOVE and AMERICAN KESTREL. The BELL’S VIREO and LADDER-BACKED WOODPECKER were vocal, but overall it was pretty slow this morning. 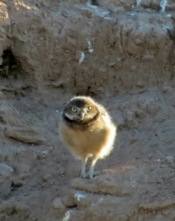 Closer to work, two families of BURROWING OWLS now have young birds climbing and flying about their burrows. One family has three juveniles and the other has two (that I’ve spotted so far). 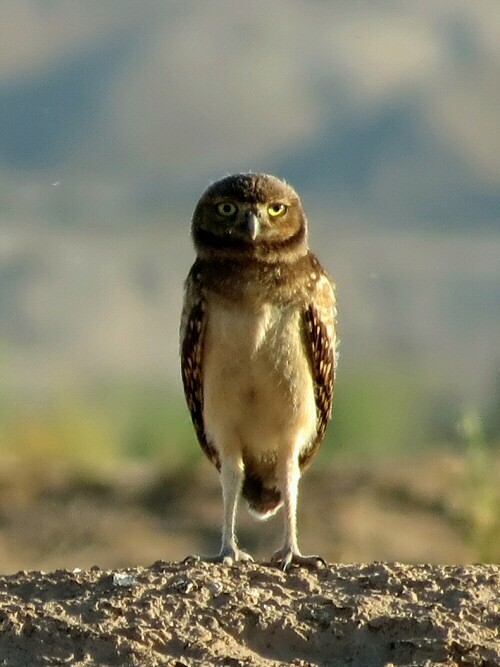 Still haven’t seen any little ones from the 3rd and 4th pair of owls in the “colony”.